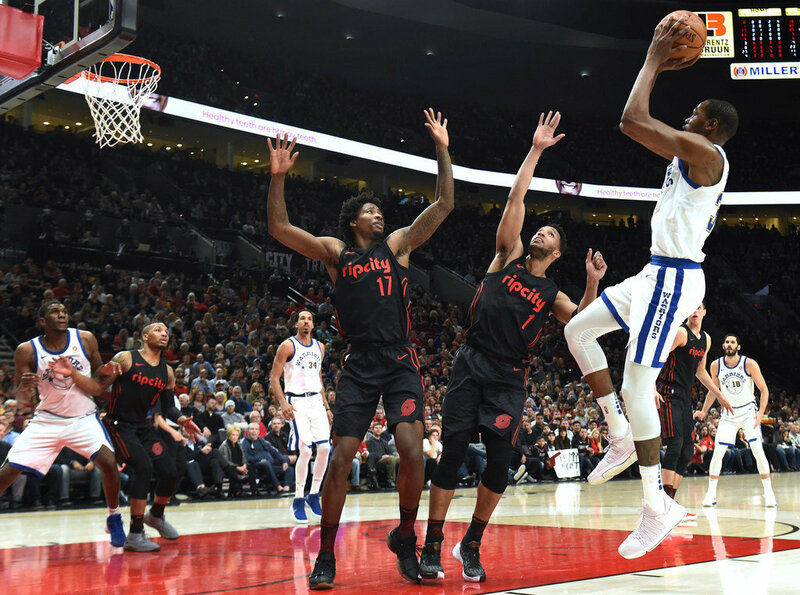 The Toronto Raptors handed the Warriors a golden opportunity to make up ground on the Houston Rockets, but the guys blew it. Yes, they were down a two-time MVP and four additional important bench players, but the chance to win was right there in front of them. As the always solid Anthony Slater from The Athletic pointed out the dumb fouls on Portland’s three-point shooters in the fourth quarter really did them in. I expect these mental mistakes from Javale McGee and Nick Young, but not from Shaun Livingston. He’s too smart and too savvy for that. He should know how the refs are calling the game, and he should also know that fouls on three-pointers almost always give more energy to the opponent’s home crowd than actual three-pointers. It’s huge for momentum and allows the energy in the arena to build. You have to wait through the frustration of the free throws instead of going to your side of the court, dropping a three, and silencing the crowd. As I mentioned last game, to be missing Steph, DWest, Andre, Jordan Bell, and Patrick McCaw (I’ll still take him over Quinn Cook any day), and still give the effort the Warriors put forth shows their depth. Any other day with a healthy lineup, this game is done in the third quarter. 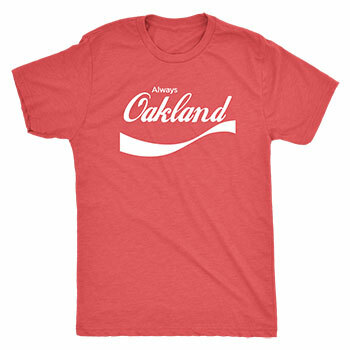 I like Damian Lillard because he’s an Oakland guy, but let’s not get it twisted, you may be good amongst the Western Conference’s 3-10 batch, but deep down you know the Warriors were missing half their team. 3) Where does Dame rank amongst the top point guards in the NBA? It’s a tough argument all-around because a lot of these guys do things better than the rest, so I go with who I’d want on my team right now. If Chris Paul were younger, obviously I’d put him higher on this list. And to me John Wall is a bit overrated. He’s really good of course, but hasn’t proven to be the best amongst this group at anything: shooting, handles, defense, taking over, or winning. 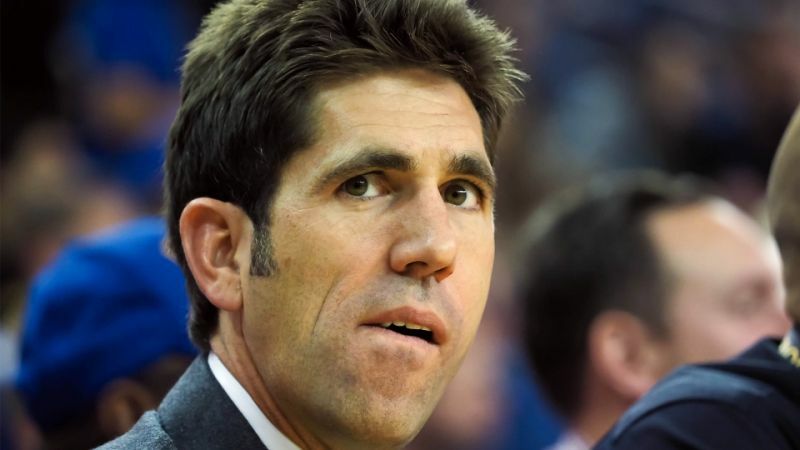 As fans we’re only privy to what we watch and read, so I always wonder what General Manager Bob Myers is thinking. From my perspective, other teams are more caught up to what the Warriors do on offense, they’ve developed and signed players who match up well with the Warriors’ switch-everything small ball style, and they’ve gotten younger and more versatile and more athletic. Jordan Bell was a great pickup, and maybe the discussion changes if he doesn’t miss a month and half of the season, but the Warriors probably need to start getting a little bit more youthful and springier. They got beaten on the boards really badly by Portland, and while David West and Jordan Bell would’ve helped on that end, it would be great to add another younger piece. Maybe it’s Damian Jones next year. It would’ve been nice if he was ready enough to plug in there already. Also, since Kevin Durant is really the Warriors’ only guy who can get any shot he wants whenever he wants and their only guy who can really drive for a basket at the rim if they’re struggling from the outside, it’d be a good idea to invest in another player who tries to get to the hole, especially as KD hits 30. Last season into early this season, I thought McCaw could be that guy. In fact, I’ve mentioned how last year I thought he and Dejounte Murray were on the same level. How wrong I was. McCaw doesn’t have that burst to get to the rack. He’s long and rangy but as I noted earlier in the season he doesn’t seem to be able to explode consistently past his man and finish, if at all. This game hurts because it was a prime opportunity to remind Houston we’re right there, to shake their confidence a bit. There aren’t many teams left for the Rockets to play that are as good as the Raptors, so the Warriors have to take advantage whenever there’s an opening. If it weren’t for Steph and Bell randomly tweaking their ankles and Bell getting pushed into Andre causing his wrist sprain, I’m guessing we’d be just a tie-breaker from being first in the west. So maybe we should be glad there are 82 games because it gives the Warriors more chances to make up ground.